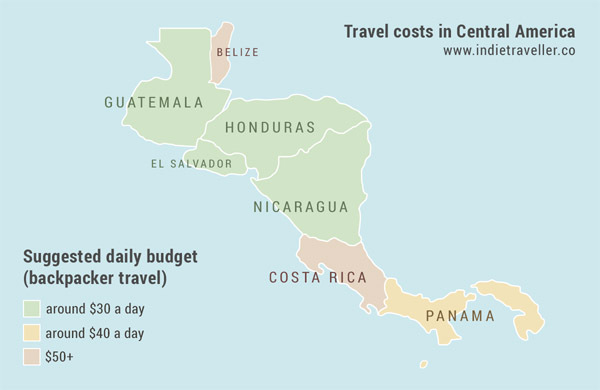 Travel costs in Central America can vary quite a bit from one country to the next. 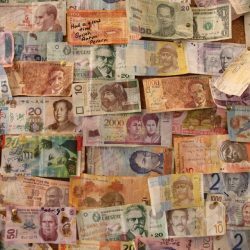 Below you’ll find an overview of common travel expenses in the Central American countries plus averages of accommodation costs, all updated for 2017. I also have another post with tips on where to travel in Central America. Of course, people have different travel styles and varying expectations for comfort. The average room price listed here is for just a basic room in a hostel, hospedaje, or B&B, often using shared bathroom facilities. These are just simple places for you to sleep. For higher standards of accommodation you could double or even triple the average. Similarly, the suggested daily budgets here are for budget travel and backpacking, so they assume you’ll generally stay in hostels or guesthouses, eat local food, and use local transportation. The daily budgets are per person. If you’re staying in private rooms it assumes you’re sharing the cost — add a single supplement if not. Only your base travel costs are taken into consideration here. Not included are any pre-trip expenses like your flights, travel insurance, tourist visa fees, etc. I’m listing prices in US Dollars as this is the most recognized currency. Even if you’re not from the US (I’m European myself) you probably have a better idea of its value than that of a Guatemalan Quetzal or a Nicaraguan Córdoba. In El Salvador and Panama, the currency used is just straight up the US Dollar, and the Belize Dollar is also pegged to the USD (2 BZD is always 1 USD). For reference, 1 USD is currently equal to: 0.90 Euro, 0.78 Pound Stirling, 1.35 Canadian Dollar, or 1.41 Australian Dollar, to name a few. Belize is mostly known as a luxury and cruise ship destination, with prices to match. That said, if you’re just there to soak up the atmosphere, you can still travel in Belize on a modest budget. You can stay on the Cayes for a while and just enjoy the sunshine and the Caribbean vibe. But if you splash out on activities then Belize gets relatively expensive; it’s easily on par with Costa Rica or many Western countries. A snorkeling trip on Caye Caulker costs about $30, a cave tubing trip costs about $75, and scuba diving the Great Blue Hole costs about $330 for three dives. Most meals are around $10, though if you poke around you can find some street stalls selling cheap eats for about $5. 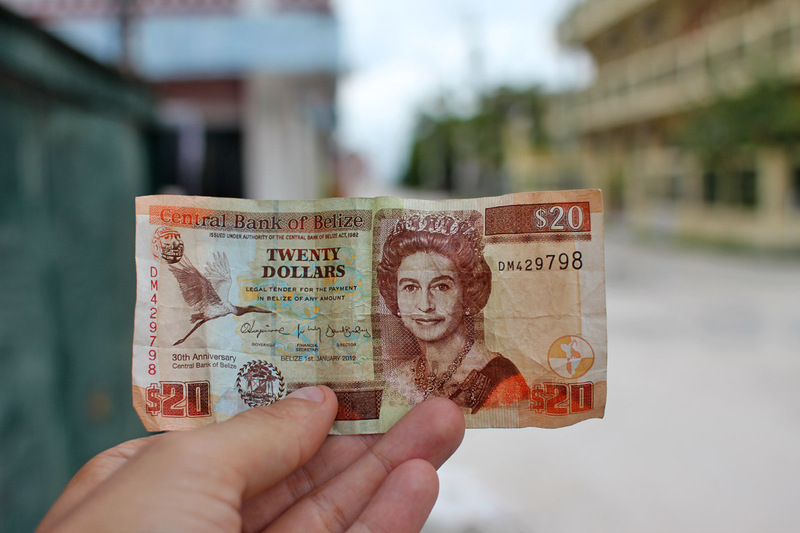 With so many cheaper countries nearby, you can’t argue that Belize offers good value for money. Sure, the Cayes are beautiful, but so are the beaches and islands of Mexico’s Yucatan peninsula, where prices are much lower. And yes, you can visit ancient Mayan temples in Belize, but you can visit bigger and more impressive ones for less money in Guatemala or Mexico. Still, Belize makes for an interesting stop during a Central America trip. Most budget travelers focus on visiting Caye Caulker and the border town of San Ignacio. The suggested budget assumes you will be taking some tours. But if you avoid any organized activities, you can bring it down to a shoestring budget of about $30 a day. You will miss out on the most exciting stuff in Belize, though! Day-to-day travel costs like lodging and food are incredibly low in Guatemala, with dorm beds starting around $7 and a half-decent private room starting at $20 or so. Meals are rarely more than a couple of dollars, though as always Western-style food is more expensive. Guided day-hikes to the volcanoes around Antigua or Quetzaltenango cost about $25. Entrance to the Mayan ruins of Tikal is about $20 but expect about double that for a guided tour. A full day of activities at Semuc Champey (caving, tubing, swimming around the waterfalls) costs about $40. Just as an aside, visiting Semuc Champey was possibly my favorite activity in Central America! For more tips don’t miss my guide to Guatemala. As a rule of thumb, if you use the so-called local chicken buses (converted US school buses), you’ll pay about a dollar for every 1 or 2 hours traveled. Faster minivan shuttles (mostly for tourists) cost more. A minivan from Guatemala City to Antigua costs about $15. Flores, Quetzaltenango or Lake Atitlan are great to hang out for a while; on average the accommodation in these places is 30% cheaper than in Guatemala City or Antigua. Eat local! Forget about burgers or pizza: there is a lot of inexpensive and yummy Guatemalan food everywhere. Chicken buses are cheap but they also aren’t very comfortable. Be sure to ask about the safety situation (they have a poor reputation inside Guatemala City). Travel costs in Honduras are at a similar level as Guatemala, Nicaragua and El Salvador. The Mayan ruins at Copan Ruinas are the principal attraction in Honduras, and cost about $10 to enter. That’s only the entrance to the park though; if you add entrance to the tunnels and a private guide, that cost can go up to $40. An afternoon of white-water rafting the Cangrejal river costs about $40 per person, while snorkeling and ziplining tours range from about $25 to $50. The Bay Islands are hugely popular for scuba diving. A three-day Open Water certification course costs about $250 there, which is quite possibly the cheapest in the world (even Koh Tao in Thailand can’t beat that price). Fun Dives are about $30 a pop, so many divers will feel like a kid in a candy store here. For best value, forget about the overrated Great Blue Hole in Belize, as for the same price you can get a dozen great dives in Honduras. Other than scuba diving and Copan Ruinas, Honduras doesn’t have that many established tourist attractions. But there are plenty of sleepy towns where you can enjoy the Latin American vibe and not spend very much at all. Book tours and activities when you’re there, not on the internet. Online prices are hugely inflated, particularly for any activities targeting cruise ship tourists. You can often find far cheaper deals in person at local prices. I should mention that I haven’t been to El Salvador yet, so this part relies on researched information only. Based on pulling data from online booking sites I’ve found dorm beds to average at $10, though multiple blogs report finding beds for far less than that (as little as $5). A room in a budget hotel or guesthouse starts at about $25. Similar to its neighboring countries, transportation costs are usually in the single-digit dollars, basic meals cost around $2 to $5, and national park entrance fees are usually well under $10 as well. El Salvador doesn’t have as many tourist activities as other nearby countries, though scuba diving and surfing are among the most common activities. Surfing lessons are typically around $15 – 20, while diving costs about $35 per dive. 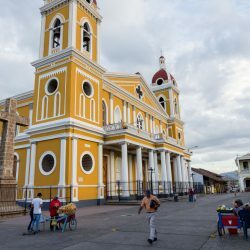 Nicaragua is easily the cheapest country in Central America, and ranks among the cheapest destinations in the world. Whether you’re a shoestring traveler or just looking for good value, Nicaragua will be a great place to go. The average cost of a dorm bed is $9, though it’s not uncommon to see beds for as low as $5. Basic rooms with shared facilities in a hospedaje or guesthouses start at about $15. While the typical Nicaraguan meal doesn’t offer that much variety, a plate of gallo pinto (rice and beans with a few sides) costs as little as $1.50 – $2. Even in touristy San Juan del Sur you can get fresh lobster or a grilled red snapper with rice and salad for about $7. Western food like pizzas or burgers will be more expensive. Transportation by bus or taxi is never more than a few dollars. The only exception might be if you’re taking a long-distance tour bus to Costa Rica or Honduras, or if you’re trying to get to the remote Corn Islands (this is easiest with a domestic flight – returns from Managua are about $160). Most day trips and activities in Nicaragua (like hiking, surfing, kayaking) cost between $10-30 USD. A volcano boarding day trip near Leon will cost about $30 USD. A guided climb to the top of the active volcano Mt Telica costs about $25, or about double that if you go with the charity non-profit Quetzal Trekkers, which helps disadvantaged youth around the country. For some ideas on where to travel, check out my top places to visit in Nicaragua. Accommodation on Ometepe Island and the city of Leon is about 40% cheaper on average than in the capital or in San Juan del Sur, making these excellent places to stick around for a while. Costa Rica has the most firmly established tourism industry of Central America. It is known for its wildlife parks, eco-resorts, beaches, and adventure sports. Prices are relatively high with many tourists from the United States with deep pockets coming to Costa Rica on vacation. This is not just a country for intrepid backpackers but also for honeymooners, families, fishers and birdwatchers, and US retiree expats. Most costs are about double that of neighboring Nicaragua. A typical meal in a local soda restaurant will cost about $5 to $7 (e.g., a plate of rice, beans, fried plantains and some chicken). Count on spending at least double that for eating in a tourist restaurant. If you use local transportation, you won’t have to spend more than a few dollars for a few hours of travel. The buses are of a more modern standard than the chicken buses of Nicaragua or Guatemala. Organized activities can eat into your budget quickly in Costa Rica. Zip-lining and canopy tours cost around $50, while kayak or hiking tours (1 day) are typically also in the $40 – $50 range. A guided two-hour wildlife night hike in Monteverde costs about $30, though some guides charge as much as $50 per person. How much you’ll indulge in outdoors and adventure activities will largely determine how much money you need to travel in Costa Rica. Skip the guided tours and explore nature independently (if you can do so responsibly). You can find walking trails listed on Wikiloc. The cost of travel in Panama sits somewhere in the middle. While accommodation costs as much on average as in Costa Rica, the reason it still has a lower suggested budget is that the tours and activities in Panama tend to be cheaper. For example, touring a coffee farm costs about $20, scuba diving is about $30 per dive (which is the same as Honduras), and a visit to the Panama canal is about $15. Many people will want to cruise around the gorgeous San Blas Islands, though if you do this, your daily average will go up considerably. A cruise costs about $400 to $500 for 4 or 5 days. If you are planning to go to Colombia, you can get a San Blas Islands cruise that drops you off in Cartagena. For some ideas on where to travel, check out my top places to visit in Panama. How Much Does it Cost to Travel 1 Year? The prices you mention really doesn’t match the reality, don’t know where did you get that. What was different in your experience? Just curious why you haven’t been to El Salvador? Easily my favourite country in Central America and maybe even the world. Hey Jamie. There’s no reason other than that at the time I had to catch up with a friend already in Nicaragua. Haven’t heard such high praise for El Salvador before 🙂 I definitely hope to visit in the future!